New to OneDrive? 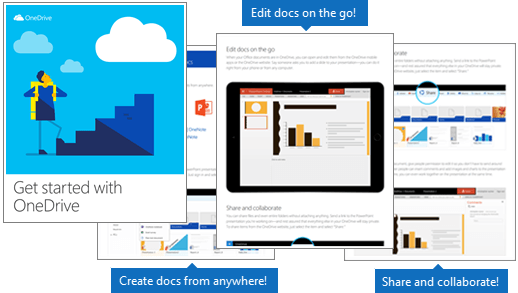 Learn how to add files using your computer or the OneDrive website, get files from your phone or tablet, and create, edit, and share Office docs on the go. NOTE: Depending on your computer’s operating system, you may need to install the free Adobe Acrobat Reader DC software to open, view, or print our eBooks. Did you find this eBook helpful? Let us know! Select either Yes or No next to Was this information helpful? and enter your feedback there. You can also give us ideas for eBooks you’d like to see in the future.